Yamba in NSW, Australia is one of the most popular holiday spots in the country. It’s located just 4 hours from Brisbane and 6 hours from Sydney, making it easily accessible for those living on the east coast wanting a quick getaway. Recently, Yamba has earned a reputation for being one of the best towns to visit in Australia. So why are so many calling this quaint locale the next Byron Bay? Yamba is a family friendly destination that caters to a broad age group. That means there’s plenty to do for mom, dad, and the kids. Travellers who don’t have little ones will find a long list of things to enjoy while those with children won’t feel limited when planning their stay. Whiting Beach is a good spot for families with kids who love the sun and surf. Fishing in Yamba is a wonderful experience whether you’re a novice or a seasoned fisherman. The area has something that Byron Bay doesn’t have: an estuary. The town is situated along the mouth of the Clarence River, making it a prime spot to reel in a big one! One of the biggest drawbacks to visiting a popular tourist town is the lack of privacy. The prime locations are already known and heavily used. In Yamba, there are many hidden places where you can escape from the world and enjoy a little rest and relaxation. Find your own secret beach and unwind away from the crowds. Speaking of beaches, Yamba offers breathtaking coastal views and natural rock pools. 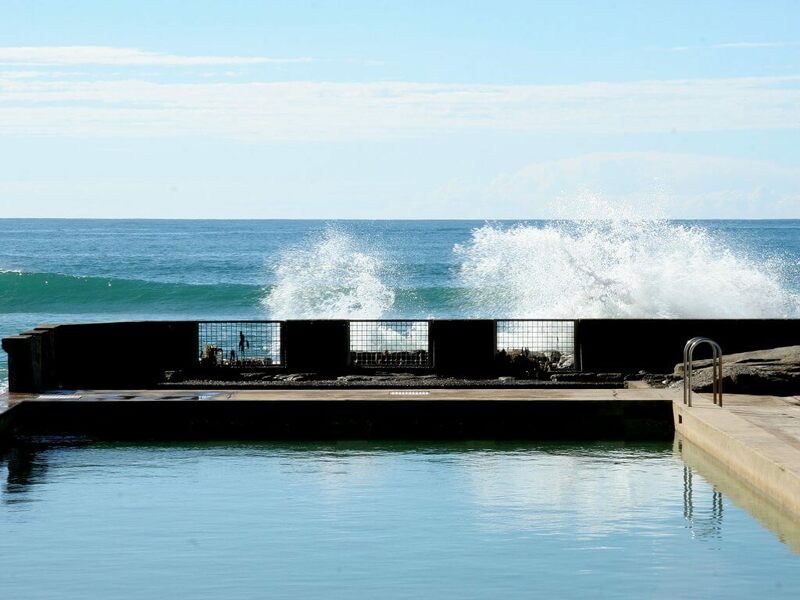 Yamba Beach includes a 33 metre long saltwater rock pool. Spooky Beach is wonderful for snorkeling, and Pippi Beach allows access for 4-wheel drive vehicles. There’s a total of 11 beach options to choose from. Yamba also offers a unique flavour experience for foodies or anyone who makes dining a part of their holiday. Irons and Craig is one of our favourites for brunch with a menu that will please even the most discerning diner. There’s also the weekly Yamba Farmer’s Market which is held on Wednesday mornings. Enjoy organic vegetables, free range eggs, preserves, and more, all locally grown. It’s easier than ever to plan a stay in cosy Yamba. Make your plans now and find out what the new Byron Bay has to offer. Located just steps from the beach, and conveniently close to the town centre, there’s never been a better time to book your stay at The Cove Yamba.